Johnny Depp Epicness! James Gets An Awesome Photo With The Edward Scissorhands Star! Amber Heard! Paul Bettany! James has the luck of the Irish, even though he’s from the UK! 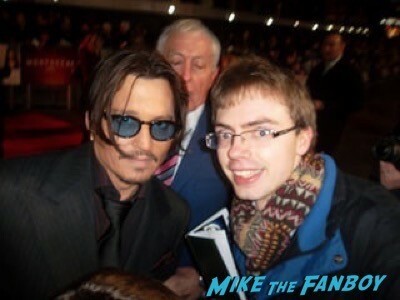 He headed down to the premiere of the latest Johnny Depp film Mortdecai and had some amazing luck. 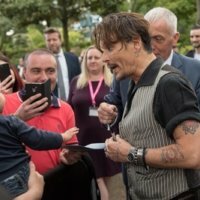 Johnny Depp is always great to fans at premiere’s and across the pond is no exception. 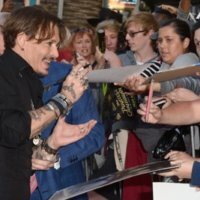 Mortdecai Los Angeles Premiere Photo Gallery! 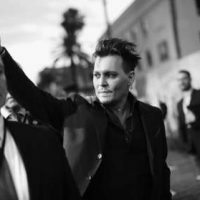 Johnny Depp! Ewan McGregor! Gwyneth Paltrow! And More!